Only those who hold the Master Mason degree in Freemasonry qualify and are invited to join the Shrine. Q: Then I presume you are a Noble? A: I am so accepted by all men of noble birth. Q: Have you traveled any? Q: From where to what place have you traveled? A: Traveled east over the hot burning sands of the desert. Q: Where were you stopped at? A: At the devil’s pass. Q: What were you requested to do? A: I was requested to contribute a few drops of urine. Q: Why were you requested to do this? A: As a token of my renouncing the wiles and evils of the world and granted permission to worship at the Shrine. Q: At what Shrine did you worship? A: At the Shrine of Islam. A: Yes, I rode a camel until I paused to dismount. Q: Then what did you do with your camel? Q: Where did you tie him? A: I tied him to a date tree, where all True Shriners should do so. BOTH: Yes, I pulled the Cord, rode the hump, I have traversed the hot arid sands of the desert to find Peace and rest in the quiet shades of the Oasis. Source: “The Mystic Shrine an Illustrated Ritual of the Ancient Arabic Order Nobles of the Mystic Shrine”Revised Edition 1975 Ezra A. Cook Publications, Inc. (“Serving the Craft Since 1867), Chicago. 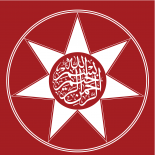 US President Roosevelt was a member of the Ancient Arabic Order of Nobles of the Mystic Shrine – a Shriner. 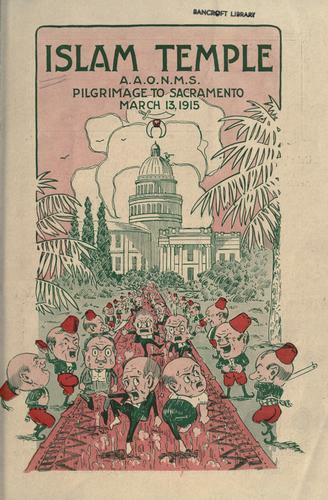 US President Gerald Rudolph Ford Jr. was also a member of the Ancient Arabic Order of Nobles of the Mystic Shrine – a Shriner. This entry was posted on August 26, 2011 by ASFC in Politics.